Challenge Workforce Solutions honored the Hilton Garden Inn in downtown Ithaca as its Business Partner of the Year on Tuesday May 2nd, at the agency’s 49th Annual Awards Event. Challenge is a non-profit organization that is committed to creating pathways to employment for people with disabilities or barriers. The Hilton Garden Inn, as well as Kilpatrick’s Publick House, hire individuals who come from Challenge to work in various housekeeping and other important roles. 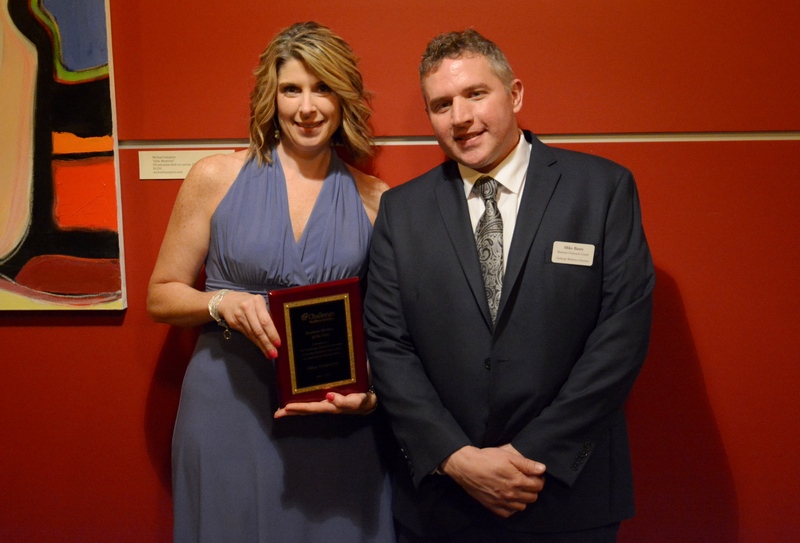 Hotel General Manager Teri Tarshus accepted the award at the event, saying that the workers who come from Challenge benefit the housekeeping staff by helping to ensure that rooms are ready for guests. The hotel was selected for the award from among more than 125 businesses in Tompkins County that Challenge works with to carry out its mission.